If you’re looking for fantastic floor refinishing in Willoughby Hills, OH, call Fabulous Floors Cleveland! 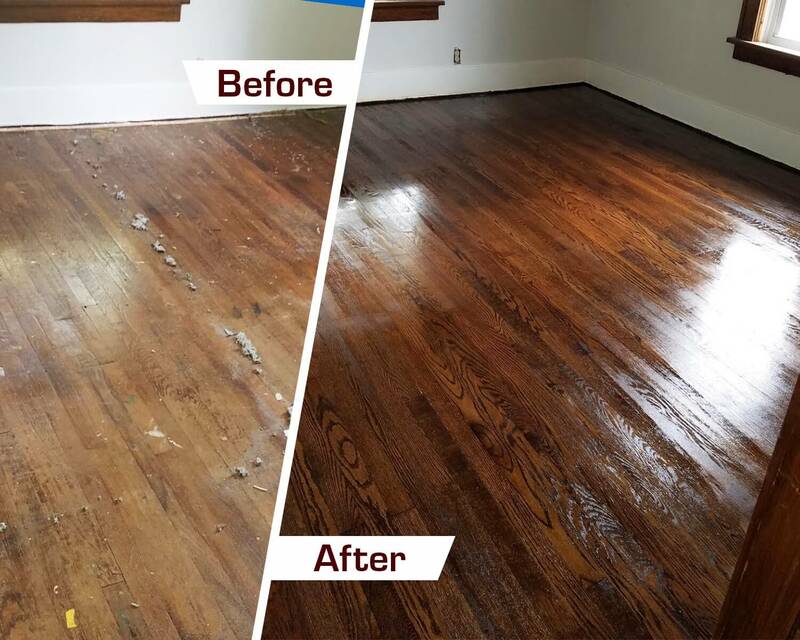 We’ve been providing wood floor restoration services in the Willoughby Hills area for years! You can have the beautiful floors you’ve always wanted at a price you can afford. Our expert and friendly technicians go the extra mile to be sure you receive premium customer service throughout your project. Your satisfaction is our number one priority. We take pride in the integrity and passion with which we run our business. Don’t wait, call us today and we’ll help you have the beautiful hardwood floors you’ve always wanted! Our top-notch wood floor renewal process has been perfected throughout the years, and we’re confident its the best in the business. We start by removing any existing carpet. After that, we sand away visible dings and scratches from your hardwood floors with our virtually dust free technique. Next, we apply the stain color you’ve selected from a variety of over 25 colors. We finish by applying a polyurethane coat that adds shine to your floors as well as protects them from future wear and damage. We never cut corners. In fact, we do just the opposite. We’ll always go the extra mile to ensure you’re pleased with your new floors without breaking the bank! Contact us today to begin your hardwood floor refinishing project in Willoughby Hills, OH!